In order for mold to reproduce and grow it needs three things: moisture, food, and humid temperatures. A common place mold is found in Oviedo homes and buildings are areas with excessive amounts of moisture such as bathrooms, laundry rooms, and flooring. Mold feeds off of wood, leather, clothing, etc. The sunny Central Florida weather can be a blessing, but the humidity can lead to the potential for mold growth. Mold spores produce rapidly in humid climates like Central Florida. Mold is known to cause health problems. 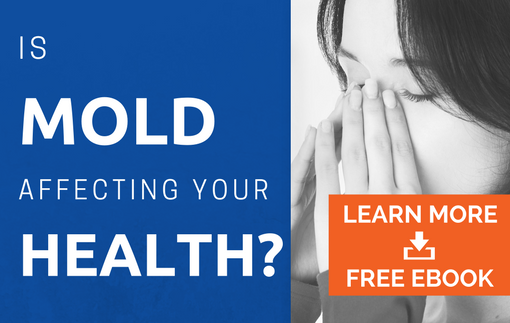 Some people are particularly sensitive and irritated by mold exposure. Systems include irritation in the eyes, sneezing, coughing, and severe respiratory issues. Prolonged exposure to mold can be linked to difficulty breathing and can lead to harmful effects on your families health if it is not properly taken care. Removing mold requires proper training, chemicals, and equipment. AdvantaClean of Seminole County has certified, trained professionals that will meet with you to discuss a plan for mold testing and remediation. Each of our technicians is trained on proper mold removal and mold remediation procedures and will have your Oviedo home up and running efficiently.We are experts at limiting downtime and business interruption, allowing you to continue business and minimize any potential loss of revenue during the mold removal process. FOR MOLD REMOVAL, MOLD TESTING, AND MOLD REMEDIATION SERVICES CALL US TODAY AT (386) 968-1472 !